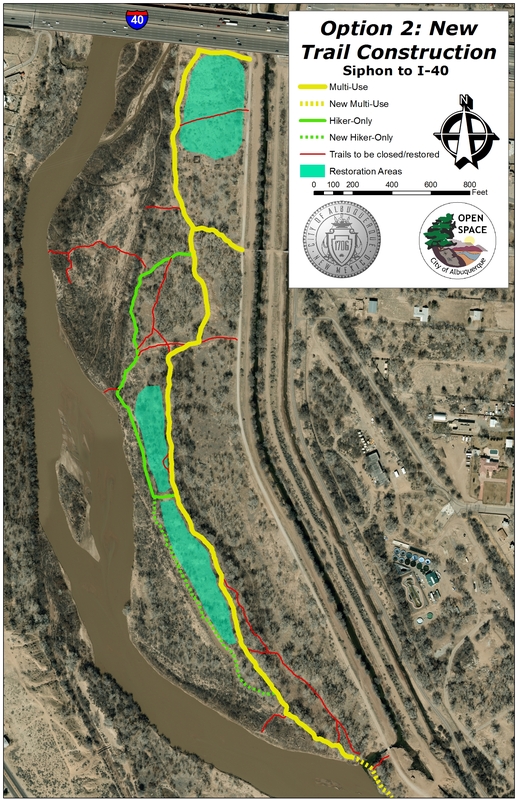 These are the PDF maps of the Bosque drafted by Open Space / Parks and Recreation representing three possible approaches for development in the Bosque. The maps were presented to the Mayor's office, who chose "Option 1: No New Trail Construction." Written by Sarita Streng, a member of the BAT. Sarita is an Occupational Therapy Candidate at UNM who has explored creative and sustainable ways for those with mobility challenges to experience the Bosque. This guide is one part of that ongoing effort. Click here to read the guild. 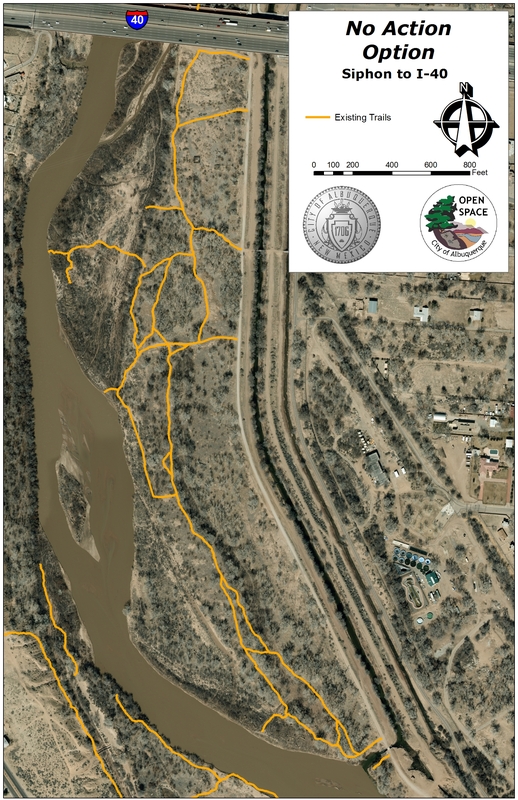 City website highlighting access points, recreational opportunities and areas of interest in the Bosque. A resource book of background information, activities and curriculum suggestions to help all educators teach others (Kindergarten through 12th grade students) about the Bosque. Located in the Bosque, or cottonwood forest, and by the wetland bordering the Rio Grande, the Nature Center is the focus of the Rio Grande Nature Center State Park. A refuge from the city life of Albuquerque, the park offers opportunities to experience 270 acres of woods, meadows and farmland flourishing with native grasses, wildflowers, willows and cottonwoods. Established by the State Legislature in 1983, this Park is managed cooperatively by the Open Space Division and the Middle Rio Grande Conservancy District (MRGCD). Official Facebook page of the Bosque Action Team (BAT) and the Save the Bosque website.